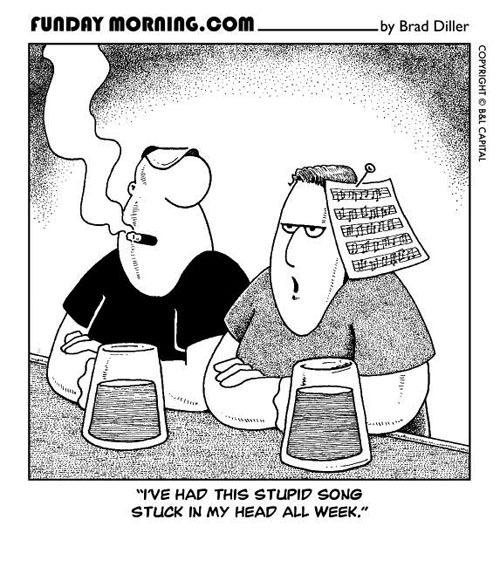 My wife and I were talking last week and she mentioned having a song stuck in her head and this picture popped into mine. I'm in Dallas this Saturday for Strip Con, then on the road to see my family back east. I'll post some new work the following week. Take care and thanks for reading my cartoons!